The use of advanced metering technologies is steadily on the rise in Africa, but, to evolve the business models of the electrical utilities operating on the continent, utilities still need to harness the full digital potential of technologies such as smart metering. This is according to Abraham Ortega, Senior Executive Consultant at state-of-the-art electrical equipment and solutions provider, Hexing, who says that smart meters have already improved the operation of many utilities, contributing to increased grid stability. "However, smart metering is just the tip of the iceberg. When incorporated into an advanced, fully integrated system, utilities will be able to significantly change the way that they operate. The continuing challenges faced by utilities can only be overcome by introducing more robust technologies that bring in more revenue for utilities, while offering competitive pricing for the consumers on the continent." 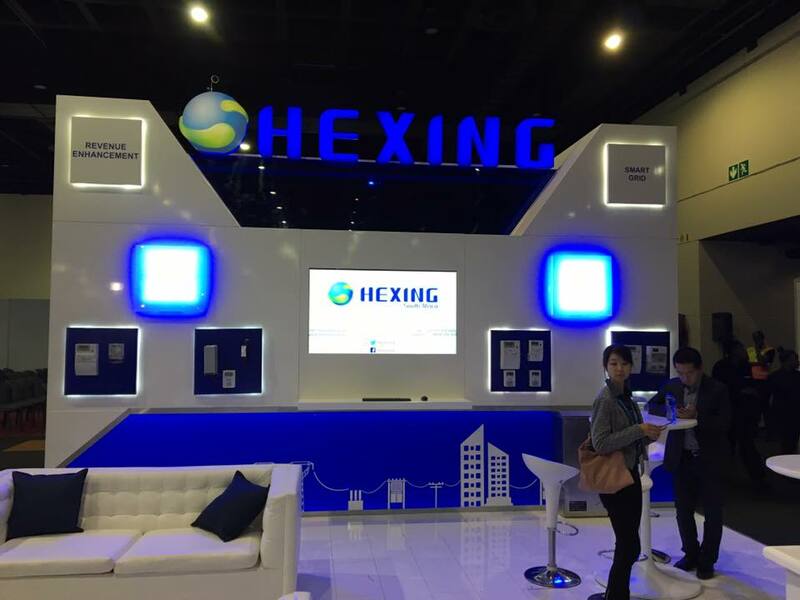 Hexing is a multi-national company founded in 1992, offering a state-of-the-art range of electrical equipment and solutions to electric utilities across the globe. Hexing Electrical SA, established in 2012, provides smart prepaid meters and systems, intelligent data acquisition systems, distribution networks, micro-grid solutions, operation and services to customers, and solving the challenges of the collection of electricity charges in South Africa, Botswana, Zimbabwe, Mozambique and the rest of Southern Africa. Ortega says that utilising smart metering networks at their most basic level have already enabled many utilities to better fund their own expansion projects. "With meter to cash solutions (smart meters) being rolled out in many African countries, utilities and their private sector partners have been able to improve the accuracy of their billing and tracking of electricity consumption. Speaking from Hexing's own experience, we have seen clients significantly reduce their losses and nearly double their revenue collection to fund further expansion and stabilisation of their grids." Mafise Ledwaba, Database Developer at Centlec, one of Hexing's clients, explains that the solution has been able to effectively reduce losses related to maintenance issues as well as theft, while making client billing exceedingly accurate. "This has enabled us to increase revenue collection from R30 million to between R70 million and R90 million per month with the span of four years. It has helped our company to further drive expansion into the Free State where Centlec currently operates," he says. Ortega notes that there are still challenges that these utilities need to overcome. "Among our clients, we have seen a greater need for standardising the software systems that service their smart metering systems. A utility often utilises smart meters supplied by a range of different manufacturers. The reasons for this are many, from availability to simply changing contracts to new service providers. The point remains that these meters have to be able to integrate with one central system, if they are to make the utility more efficient." Thembekile Zwakala, Acting Chief Information Officer at City Power notes that this is a particular challenge in South Africa. "We make use of multiple technology providers and for us, it is really important not to become dependent on a single manufacturer for all of our technology. The problem is that each of these manufacturers have their own back-end systems, and reconciling the data that we receive from the field is often time-consuming and prone to generating errors. We are looking to service providers like Hexing to help us develop a single back-end operation and control system for our smart meters that can reconcile all of the different brands and generations of smart meters, thereby ensuring accuracy and saving time." The solution, according to Ortega, is an intelligent operation and maintenance management system (IOMMS) capable of overcoming infrastructural challenges, interpreting information from the field and immediately taking the right course of action with minimal human involvement. "Governments and utilities have no choice but to partner with the private sector if real growth is to be achieved. The good news is that Hexing is capable of supplying, constructing and maintaining integrated smart systems. While companies such as ours can provide the means for technological advancement, governments and regulators can help to make these systems a realist by rewriting or re-interpreting the relevant laws to enable operators to better collect revenue with these systems." The old models for funding and constructing infrastructure has had limited success in Africa, and, continuing on this path will not only become increasingly expensive, but also yield fewer and fewer results, he says. "The only solution for the continent, going forward, is to find ways of bringing in cutting-edge technological solutions that bypass these challenges altogether," Ortega concludes.